The comment from radio talk-show Rush Limbaugh came as the border-security crisis escalated further this week as President Trump moved to replace Department of Homeland Security Secretary Kirstjen Nielsen. She was blasted by leftists as the woman who separated families and who put kids in cages – even though the separation was not her policy, it is federal law. And the children in cages? Actually, the holding locations are child-protective-services facilities started under prior presidents and carried on by Barack Obama. “The whole idea here – and it’s coming to fruition – just flood the border so that we can’t handle it. I hate to keep citing this, but it’s another variation of Daniel Moynihan’s defining deviancy down. You give up trying to enforce laws against bad behavior. ‘Cause there’s so much of it going on, you can’t catch ’em all, and you can’t prosecute ’em all, so you just ignore the law and you change the law so that the criminal activity that was is no longer called criminal,” Limbaugh said. “And as you do that over and over, you are permitting deviancy to normalize, to become normal and to rise in terms of its occurrences throughout your culture and society. In a way, it’s a variation of the old Cloward-Piven strategy in action, and it’s succeeding. Because every day another Democrat calls for doing away with the border or doing away with the concept of citizenship, can’t ask a citizenship question on the census, no, no, no, that’s bigotry. No, no, no, no, that’s insulting, no, no, no, no, that’s racism,” he said. “Just imagine,” he continued, “if all these people do this, if all of these people crossing the border were wearing MAGA hats, what do you think the media and the Democrat Party would be doing? They would be building the wall. They would be down there, they would grab their armed units from the KKK or whatever and they would send ’em down there and they would start shooting on sight these people with MAGA hats trying to get into the country. That’s the way to look at this. 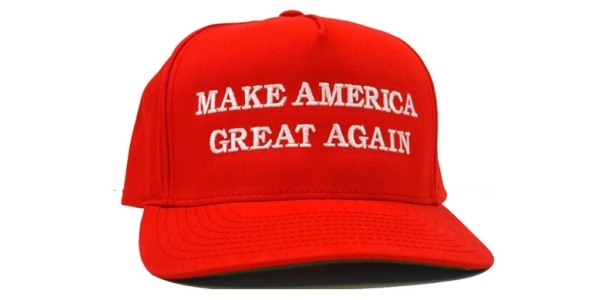 MAGA is an acronym for “Make America Great Again,” President Trump’s 2016 campaign slogan. Democrats, in fact, have resisted every effort by the president to secure America’s southern border – refusing him money for strategic sections of a border wall even though they supported that very effort earlier. “Trump didn’t put kids in cages! Obama put kids in cages! All of this, everything that we’re dealing with here that Trump wasn’t able to fix is something held over from the Obama years. And of course the Drive-Bys and the Democrats don’t want anybody thinking that. But every mess this country has, every mess that Trump is attempting to address is something in place because of Obama,” Limbaugh noted. “Trump needs to shuffle around some money and get that wall up! Get started on it ASAP! And we had a call last week, we had a bunch of people suggest this and we need to do it. We need to start taxing the – you know how much in remittances illegal immigrants are sending back to the home countries? It’s around $60 billion. We need to start taxing that as a threat to Mexico and Central America,” Limbaugh said. The broadcaster said the border crisis has all the markings of a setup. “And I’m gonna tell you something, folks. I don’t for a minute believe that these caravans and this mass exodus of people from Central America and even South America is random and organic. I think this is a plan. It is a plan that has worldwide sponsors that are in cahoots with Mexican drug cartels, and its sole purpose is to put all kinds of economic and societal pressure on the United States to create crisis,” he said. He pointed out that according to polling from Rasmussen Reports, 67 percent of Americans view illegal immigration as a serious problem. And 47 percent say it’s a very serious problem. The post Limbaugh: Dems would shoot migrants if they wore MAGA hats appeared first on WND.